Discussion in 'GPS Tracks - Central, Texas & Gulf States' started by Cannonshot, Jan 6, 2007. I've updated the previous track that was posted here and replace it with a new track. The link for the attached file does not work. See below for file download. 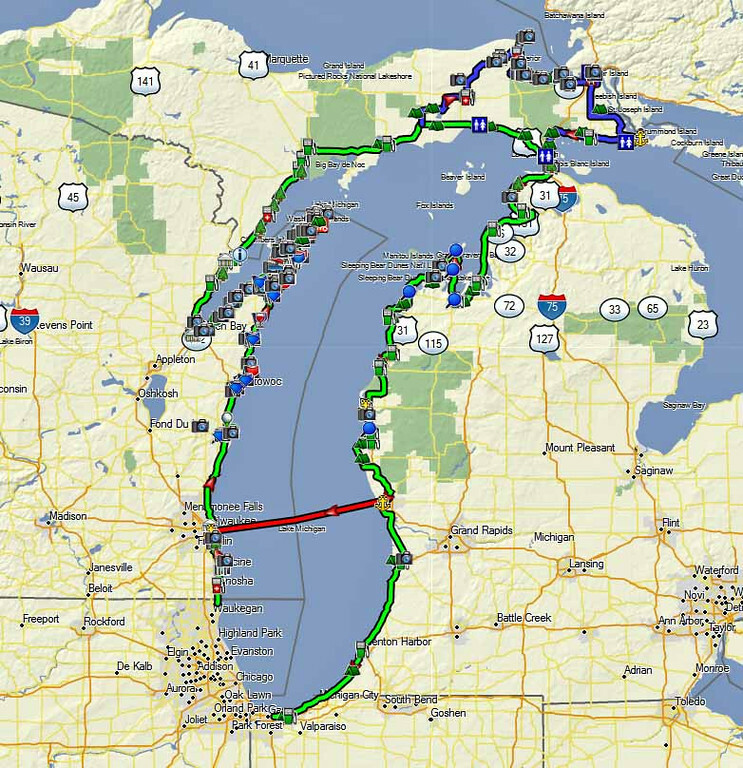 This file is an updated track for an entertaining ride around Lake Michigan. 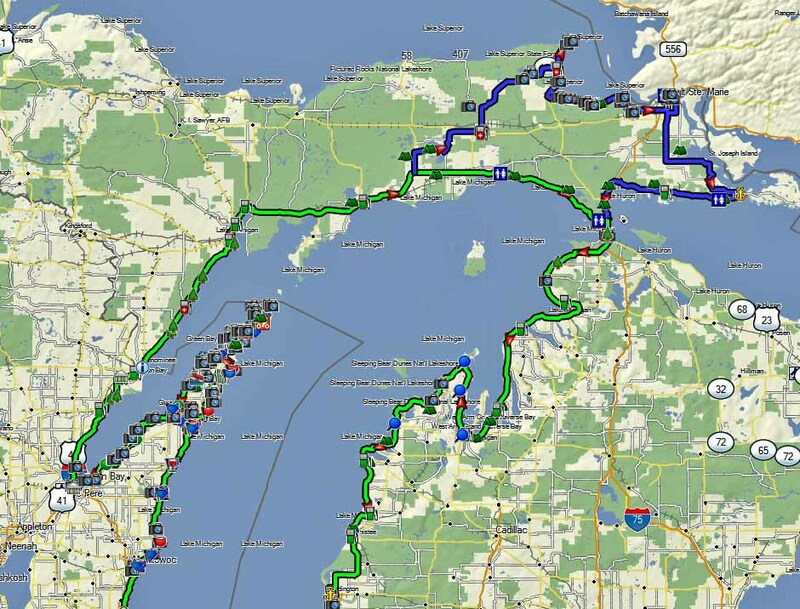 It includes an optional loop that takes in Sault Ste Marie and Whitefish Point. I set it up so that you choose your own route through Chicago. Many people choose to take the freeways to by-pass city streets. This shows the optional Whitefish-Sault route. Choose your own path to deal with Chicago. It looks like the SS Badger (ferry from Manitowoc to Ludington) is not going to run for a while so I pulled it off the track. Updated the tracks and waypoints in this file. Newer version. I was planning to do this in the fall this year! Thanks! Previously downloaded from prior personal site 805 times. Cannonshot, I just wanted to take a second to personally thank you for sharing this route. I just did 5 days totaling 1,358 mi largely using this route and had an incredible ride. This was my first multi-day trip and now I'm already trying to decide what my next trip is going to be.